Porto. The Innovation in the Transformation of the CityThe city is an innovation force. Porto Innovation Hub (PIH), launched in 2016, is an initiative of the Municipality of Porto which aims to be a platform for the reinforcement of the city’s innovation and entrepreneurship ecosystem. The city of Porto intends to stand out in the national and international panorama as a city of innovation and creativity. A true innovation aggregator, where the city functions as a living laboratory, citizens challenge businesses, entrepreneurs and the Municipality of Porto, where the connections foster real problem solving, impacting the city, with a strong capacity for replication and creation of differentiating businesses. Based on the “The innovation in the city’s transformation” topic, PIH seeks to show the direct impact of innovationon the improvement of the citizens’ quality of life, on the contribute for the creation of innovative projects within the entrepreneurship area and on the city’s projection potential to new development stages.  Improve the experience of citizens, businesses and users with the services of the Municipality of Porto. (Re) design of more efficient and accessible public services, guided by the principles of service design. Through knowledge sharing initiatives, the pillar Stepping Out Innovation aims to be a vehicle for demonstrating the potential and application of innovation in the transformation of the city. "The citizen and its challenges are in the center of innovation and transformation of the city, making it a living laboratory."